The following item is currently available. $10,600. Brother BES-1240 BC is a 4-head, 12-needle, bridge construction computerized embroidery machine with speeds of up to 1,000 stitches per minute. It has a single cam-driven presser foot for quieter operation, a jumbo bobbin for less downtime and a trace mode to verify design placement before stitching. Designed to fit through a 36-inch doorway, the BES-1240 BC accommodates tubular goods, caps and flat goods. 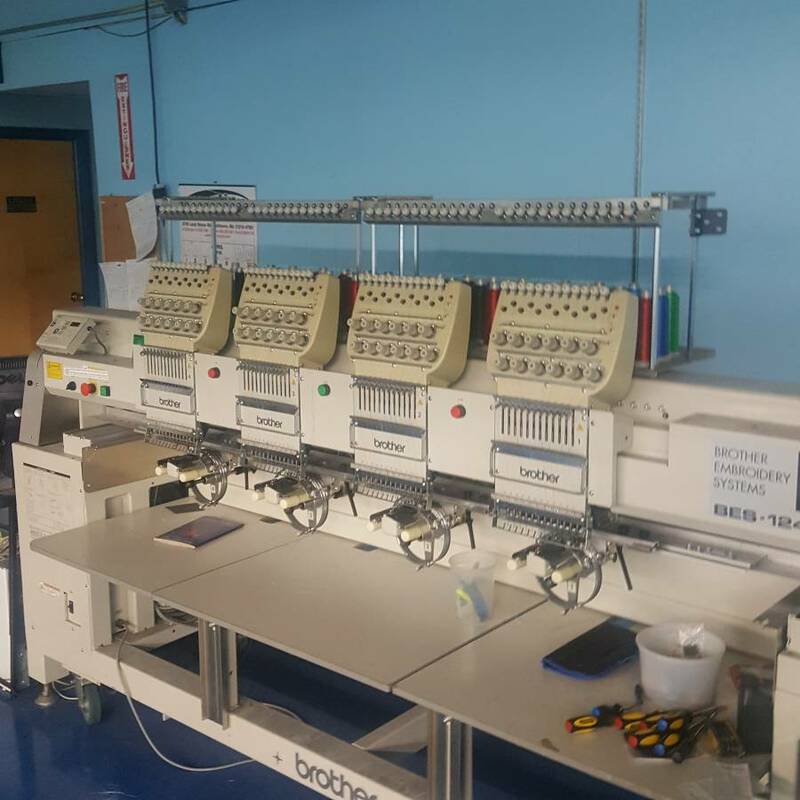 In addition to stand-alone models, controller software allows users to network up to four Brother 4-head or 6-head embroidery machines from one computer. View the stitching progress of all four designs in real time on a split screen. Exclusive software features include programming different sewing speeds for each needle or instructing the machine to automatically reduce speed when it encounters preprogrammed short stitch lengths.